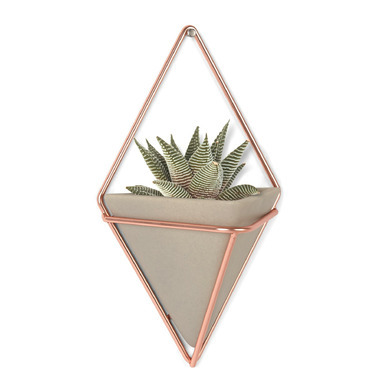 Umbra Trigg Wall Vessel is a wall-mounted concrete resin vessel in a diamond shaped copper wire frame. 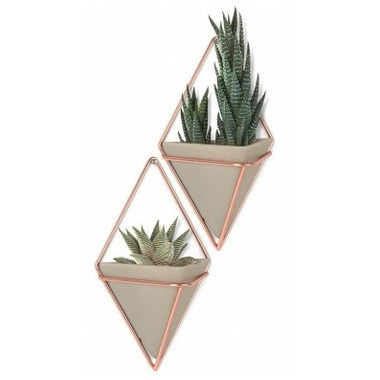 It can be arranged in a multitude of compositions and can be used anywhere around your home as a planter or for storage of supplies and knickknacks. Easy to install, look just like the photos online, and i put an air plant and a cactus in mine. Looks great on the wall. Overall these are a really unique design feature for a space. I'm really happy with them.